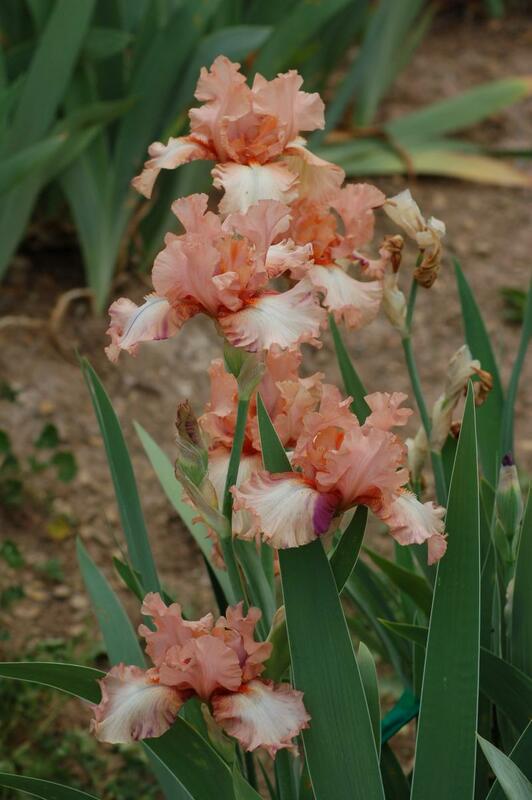 Our catalog lists most classes of bearded irises for sale. If you are not a member of the American Iris Society, you may not understand what an MDB for instance is. 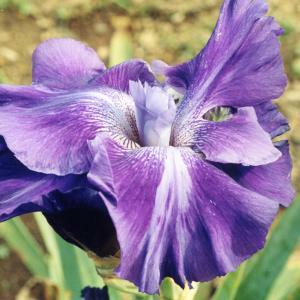 These photos and descriptions may help you understand some of the classifications of a bearded iris as set forth from the AIS Judge's Handbook. MDB and SDB are the smaller dwarf bearded irises, miniature dwarf and standard dwarf. The dwarf irises bloom three to four weeks before the tall bearded irises (TB). 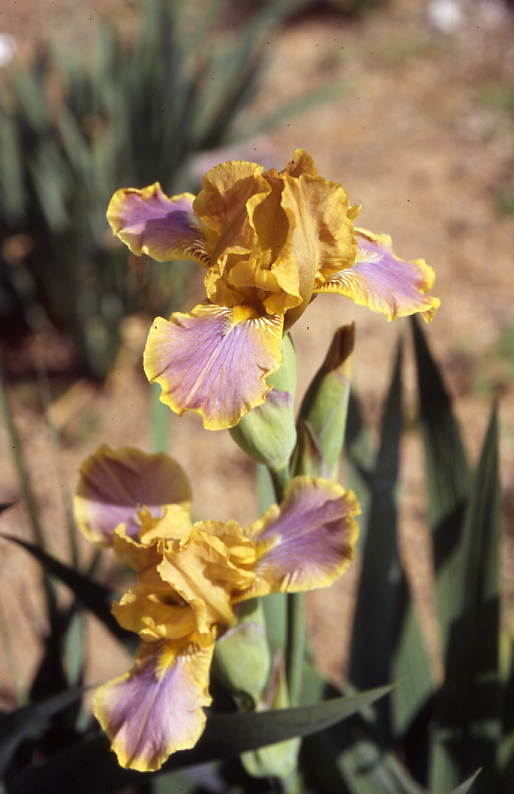 The IB, intermediate bearded, irises bloom in between the dwarf and tall bearded irises, and the MTB, miniature tall, and the BB, border bearded irises, bloom at the same time as the tall bearded irises. Reblooming irises extend the bloom season also. In our zone 6 garden we have some type of iris blooming during nine to ten months out of the year. 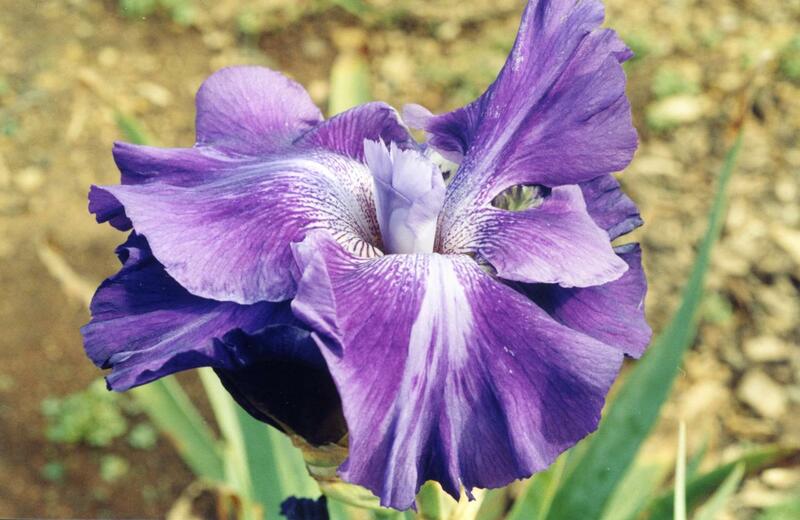 However, the month of May is is best bloom season for bearded irises. Above are examples of dwarf irises. The MDB(miniature dwarf) irises bloom first, usually early April through late April for us, and the SDB (standard dwarf) irises bloom next, about mid April through early May. They make excellent rock garden plants and like climates with cold winters. 'Sari's Dance' MTB Miniature Tall Bearded 19"
MTBs (miniature tall beardeds) have smaller flowers than the TBs (tall beardeds) but they bloom at the same time. Usually they have little or no fragrance so they are sometimes called "table irises" because they make excellent arrangements. A novelty iris can have their petals arranged in a different way. 'UFO' for example, has six falls and no standards, it also has broken color (variegated) and it reblooms. There are no beards on it either. 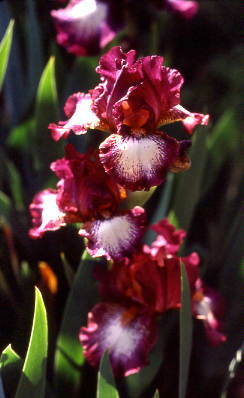 Border bearded irises are from 16-27.5 inches tall and bloom at the same time as the tall bearded irises. The flowers and foliage are smaller than the tall bearded irises and should be in proprotion to the whole plant. 'Pied Peach' pictured above is also has variegated flowers with streaks of different colors. 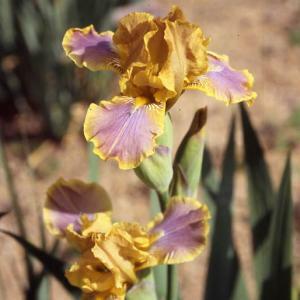 Intermediate bearded irises are from 16-27.5 inches tall, just as the border bearded, but since they are usually a cross between an SDB and a TB they have an earlier bloom than the border bearded, usually a week or two earlier. 'Cat's Hat' pictured above is a plicata pattern which has stipples, dotted or stitched margins on lighter ground color.